Prolific fundraiser, Dave Stokes of Mildren Construction took part in another amazing fundraising activity for WaterAid at the weekend. Dave entered the London Marathon on Sunday, completing the race in a very respectable 6 hours 59 minutes and 40 seconds. 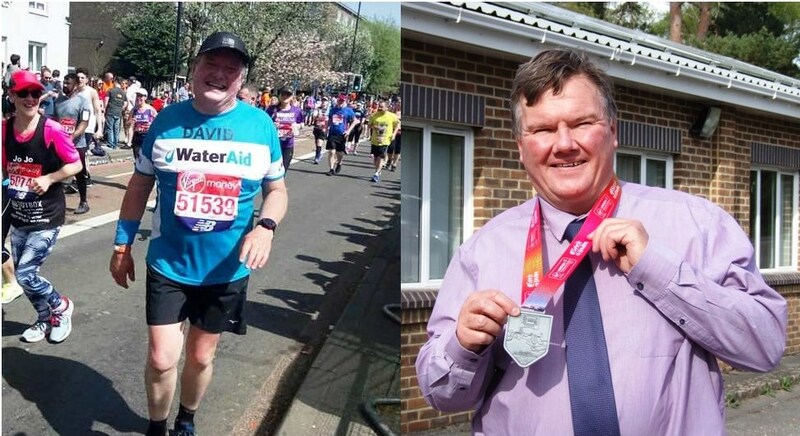 No stranger to the London Marathon, Dave was a competitor in 2016 and in September of that same year, Mildren Construction who also support WaterAid, funded the trip of a lifetime for Dave to embark on a ‘working holiday’ to Madagascar. Continuing with their fundraising, on 8th September last year a team of eight intrepid climbers took on the Three Peaks Challenge in Scotland, Wales and England – raising another £2,800 for their endeavours. After the success of his 2016 London Marathon debut, Dave decided that he’d enter again this year to better his time and his donation target. So far he has raised in excess of £2,000 and his Just Giving page is still open for contributions. The Marathon has grown in size, stature and popularity ever since the very first one in 1981 and is now viewed as one of the major events in the sporting calendar, being broadcast live in nearly 200 countries around the world. Over a million runners have completed the London Marathon, with a record 39,140 finishers last year.